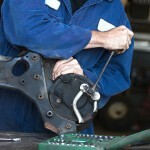 We work on both domestic and imported vehicles. Whether you need BRAKE SERVICE, FRONT END WORK, AXLE WORK, or just an oil change, trust your car to us. That’s right. We offer self-service and attendant service upon request. We’ll pump your gas and check your oil and tire pressure. We’re the only station in town with this service. No extra charge or higher price for attendant service, either! Need an oil change? We can do it. Included in your oil change is a complete check-over: belts, filters, hoses, fluids, lights, and tire pressure. ASE is short for National Institute for Automotive Service Excellence. Our mechanic is an ASE Certified Master. Call or click 949 497-1736 with any automotive questions you might have. Need your car looking sharp again? We have an auto detailer on location. From a hand car wash to a complete detail, we’re ready to work. Click to call – 949 497-1736. 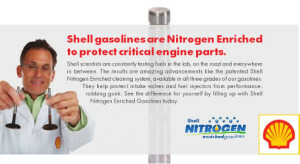 Take advantage of our quality Shell gasoline – nitrogen enriched to protect your engine parts. No need to stay with your car while we work on it. There are nearby restaurants and stores where you can visit. We are walking distance to Laguna Beach’s beautiful Crescent Bay. Thanks to Ken Lund @ Flickr.com for the Crescent Bay photo background. We have been serving the Laguna Beach area for over 38 years! Gas station is open 6 am to 10 pm. Repair service is available from 8 am to 5 pm.